Corporal Dennis Engelhard was fatally struck by a vehicle while investigating a minor accident on I-44, in Eureka, on Christmas day. While waiting for a tow truck to arrive, Corporal Engelhard was struck by the driver of a vehicle who lost control on an icy patch due to winter weather conditions. 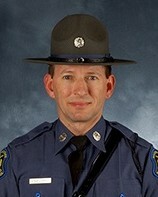 Corporal Engelhard was transported to the St. Clair Health Center where he succumbed to his injuries. 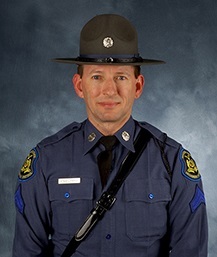 Corporal Engelhard had served with the Missouri State Highway Patrol for 10 years. He is survived by his life partner, stepson, parents, and brother. Remembering you and your family and loved ones this Christmas Day.